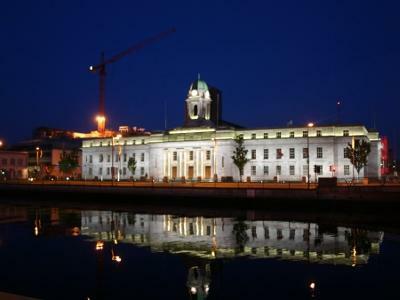 Cork is Ireland's second largest city and is spread out over around 37 square kilometres. On both banks of the River Lee, Cork city centre is compact so it's really easy to get around. You won't have to strain yourself too much to get to most of the main attractions, as well as the top nightspots. Around 119,000 people live in Cork city and when you include the suburbs, this rises to over 190,000. The people of Cork speak English. And they use Euros. What is Cork's number one attraction? Even though it's not in the city itself, Blarney Castle is definitely the main attraction around these parts. Not only that, but it's also one of the top attractions in the whole of Ireland. You'll get there in about 15/20 minutes and during the summer be prepared to share the Castle with busloads of tourists. Ah well, sure that would be the famous Blarney Stone. It’s said that anyone who kisses the Stone, found right at the top of the castle, will be endowed with the 'gift of the gab'. The story goes that after one kiss, not only will you be able to chatter non-stop, but people will want to hear what it is you have to say. Help waits at the top of the castle to lower you back so you can kiss the stone and test the legend. And while you're up there, make sure to check out the great views of the surrounding countryside. Oh definitely. 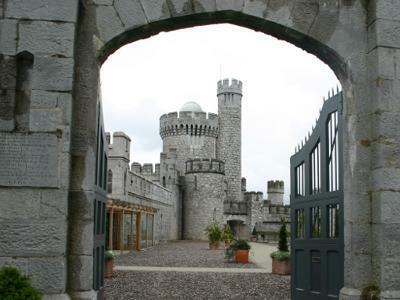 Cork has lots of things in and around the city centre for you to check out too. Cork City Goal, for example, is a really interesting look at penal life in Cork. You get to see and hear about the lives of the prisoners kept here until 1923 when it was finally shut down. 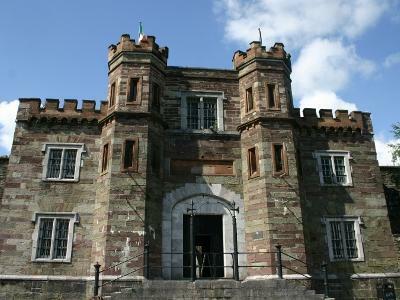 This Gaol saw its share of pretty notable prisoners with Countess Markievicz, who took part in the 1916 Rising, and the writer Frank O'Connor both spending time here. 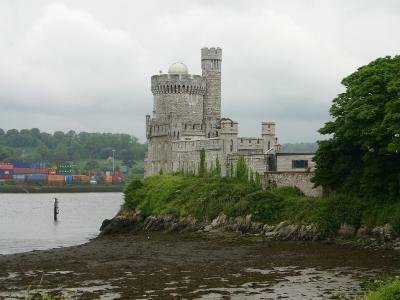 Blackrock Castle Observatory is well worth a visit too. Not just for kids, the interactive exhibits here are fun for everyone. Because, really, who doesn't want to save the world from rogue comets? Another place you should try to check out is St. Anne's Church and Bell Tower in Shandon. 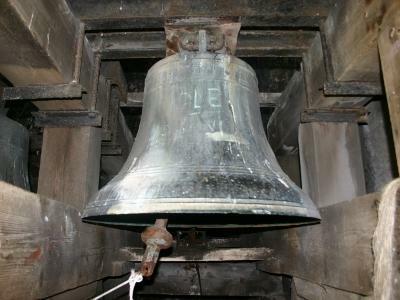 Climb up past the bells (and the pigeons), and when you step outside you'll get a panoramic view over the whole city. There are museums and galleries too, right? Are any of them free? Oh yeah, there are lots of museums and galleries around. And if you're looking for freebies, your best bet is The Cork Public Museum. You'll find it in Fitzgerald Park and it’s home to some of the most important archaeological discoveries in Ireland. If you're into modern art, the Lewis Glucksman Art Gallery is a great place to visit. It's free too and it's located on the UCC campus. I hear there's some good shopping too? Without a doubt. In fact, St. Patrick’s Street is probably home to the best shopping outside of Dublin. There are a huge amount of big name brands all along both sides of the street. 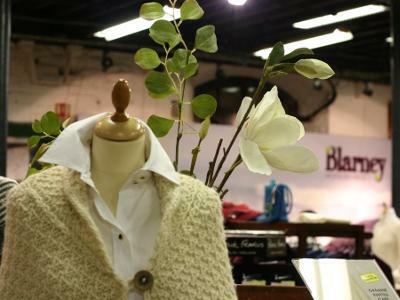 If this isn't your cup of tea, you'll find smaller boutiques and stores in the narrow streets of the Huguenot Quarter. And if you're after a bargain on fresh food, then the English Market is the place to go as it's jam packed with stalls selling all kinds of produce. Where can you find Corks best architecture? There isn't really one main area where the city's fine architecture is all grouped together, although there are a lot of interesting Georgian buildings dotted around. Two of the most notable buildings in the city in terms of architecture are the City Hall and St. Anne's Tower. If you fancy getting out of the city for the day, Kinsale is a great choice. It's beside the sea and only 40 minutes from Cork city centre. Here you can take a walk along by the marina to check out the boats, often accompanied by seals bobbing along in the water, or you can have a wander through this picturesque town filled with craft shops and cafés. Is it expensive to go out in Cork? Cork's a university city, which means students. And where there are students, there are bars offering cheap drinks, offers and promotions. Generally though, pints will cost around €4 or €5. Most bars don’t have cover charges. Lots of bars can be found by wandering some of the side streets off St. Patrick's Street. You could also try Oliver Plunkett Street, Washington Street or MacCurtain Street. These boast some of the city's best loved bars, pubs and clubs. If you're young looking or on the short side it's a pretty good idea to carry some form of ID with you. Otherwise you should be fine. Is there anything to do that doesn't include alcohol? Of course. You can head to a movie showing in one of the city's cinemas, see a play at the Everyman Palace Theatre on MacCurtain Street or check out a show at Cork Opera House. Any particular bars/clubs worth singling out? If you're looking for somewhere that plays loud rock music, offers a lot of drinks specials and hosts live bands, then Fred Zepplins on Parliament Street is a great choice. For somewhere to find a lively atmosphere, young crowd and various different bar areas then try An Bróg on Oliver Plunkett Street. On Coburg Street, you'll find Sin E. This bar is a favourite with locals and musicians and its small interior hosts some of the best traditional music sessions in Cork. Thanks to the smoking ban, if you want to light up, you'll have to take your cigarettes outside. Is it expensive to eat out in Cork? That depends on where you choose really, but there is definitely something to suit every budget in the city. A lot of good restaurants around Cork offer great value pre-theatre menus or early bird specials, so it's a good idea to keep an eye out for these if you want to keep the cost of dinner low. There are lots of restaurants in the Huguenot Quarter and also on the various different streets off St. Patrick's Street. Many of these places are in quite a compact area so you don't have to go far to find a great selection. They are. From Thai to Mexican to Indian, as well as European, foods from all over the world can be tasted in various places around the city. For sure. There are lots of cool restaurants, where you’ll find tasty food that won’t break the bank. Café Mexicana on Carey’s Lane just of St. Patrick’s Street is a really good choice. Not only is the food pretty authentic and the portions large, but they do great offers on both combo meals and drinks, including jugs of sangria. The interior’s colourful and quirky, with tiles painted with Mexican imagery used instead of traditional placemats. If it's coffee you want, Cork Coffee Roasters and Café Gusto are both great places to check out. Cork Coffee Roasters have their own special blends and do a delicious range of pastries too, making this the ideal spot for a leisurely breakfast. In Café Gusto, not only can you get great lunch deals on sandwiches, bagels, wraps and more, you can pick up a loyalty card. With it, when you buy 10 coffees you get one free. Some stay open late, but for the most part you'll need to be seated before 9.30. After that there's always the late night chip shops, the offer fast food until after the pubs and clubs close. Vegetarians and vegans need not fear, as Cork is not only a city for those who enjoy black pudding and seafood. There's a great veggie friendly place on Sullivan's Quay, the Quay Co-Op. Here you'll find really generous portions at low prices and a vegan friendly dessert selection that'll make your mouth water. How many different modes of public transport are there in Cork? You'll find buses and taxis operating throughout the city and suburbs, with bus and train services also connecting Cork city with the rest of Ireland. Is there one ticket which covers bus/train? No, tickets for all forms of public transport have to be bought separately. You might not. If you plan to stick to the city centre, it's pretty easy to get from place to place on foot. But if you want to get out a bit and visit Blarney or Kinsale, buses are your best bet.